Located in Maharashtra, India, Kollur Food Products came into existence in the year 2012 with an aim of serving the best food products to its worthy patrons. Our motto “The Taste You Deserve” itself is self-explanatory of our passion to be exceptional. We offer Tomato Ketchup, Fruit Jam, Fruit Squash, Flavored Syrup, Tomato Sauce, Soya Sauce, Chilly Sauce, Cooking Vinegar, Schezwan Sauce and many more. Today, we are associated with most of the leading e-commerce grocery retailers as well as with large wholesalers from ‘HORECA’ Industry in India. We sternly pack our products as per stated food safety and regulatory standards to preserve the quality and freshness. We are one of the leading ‘Private label’ manufacturers for many global brands. We are committed to introducing more variety of products as innovation is one of our core strength. 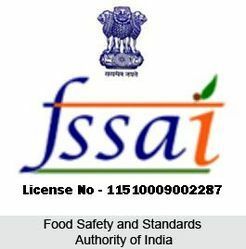 We are registered and licensed by Food Safety And Standards Authority Of India (FSSAI) and we follow rules and regulations according to it. 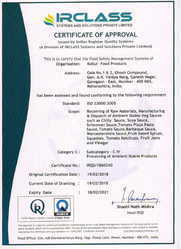 We give hygiene factory environment, International Bar code and we are certified with all necessary Government licenses. 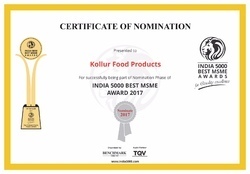 India 5000 best MSME award 2017 certificate of nomination for Kollur food products. Our Manufacturing Facility is equipped with Automatic and Semi Automatic Machinery and SS Utensils as per FSSAI norms. We are a pool of energetic individuals working in close coordination with experienced Administrators, Food Experts, Sourcing Heads, Inventory Heads, Quality Managers, Sales Executives and Transportation In-charge. They contribute amazingly well towards the firm and thus, we proudly share the credit of success with them. Our company is spread over 5000 sq ft.